Product prices and availability are accurate as of 2019-04-21 04:11:33 EDT and are subject to change. Any price and availability information displayed on http://www.amazon.com/ at the time of purchase will apply to the purchase of this product. 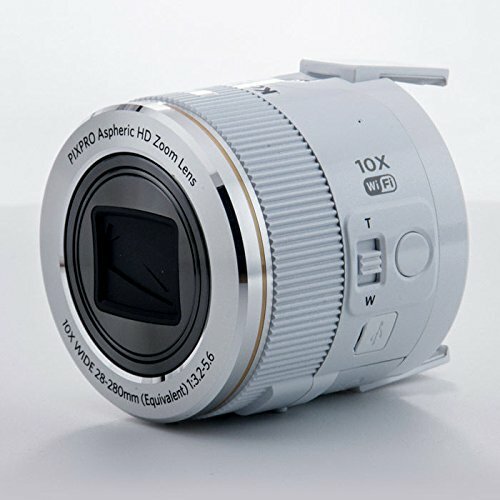 The Kodak PIXPRO SL10 SMART LENS Digital Camera Module for Smartphones is a unique device that pairs the imaging capabilities of a dedicated digital camera with the intuitiveness and connectivity of a smartphone. 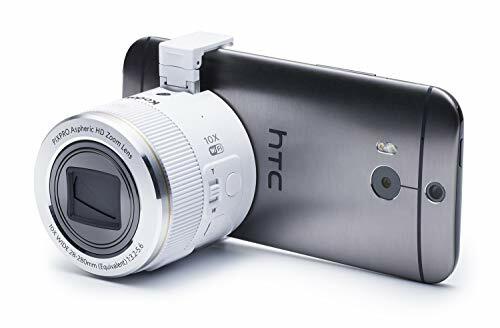 The device resembles a lens and incorporates a 16.35MP 1/2.3" BSI CMOS sensor to realize high-resolution shooting up to 6 fps and full HD video recording at 30 fps. The sensor's BSI design enables enhanced low-light performance and quality, with sensitivity to ISO 3200. In regard to the optics, the module incorporates a 10x zoom lens, which provides a 35mm-equivalent focal length range of 28-280mm, covering wide-angle to telephoto perspectives. Optical image stabilization offsets this expansive reach by minimizing the appearance of camera shake for sharper, clearer photos and movies. One of the most notable assets of the SL10 is its unique form factor, which is designed to attach directly to a smart device for operation. Utilizing built-in Wi-Fi connectivity, along with the ability pair devices with NFC (Near Field Communication), the module makes use of a free app on the host device for settings control and live view monitoring. 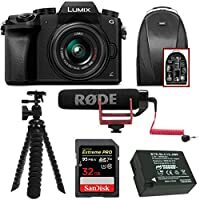 The module itself also features manual zoom control, a dedicated shutter release button, and a tripod mount for using away from the linked mobile device.